ASL can supply a variety of bespoke external weather permanent natural draught louvres to various designs to suit the client’s detailed requirements. Fixed box louvre – available in small or large units, which can be installed individually or in tiers. Continuous fixed louvre – carriers + blades + trim flashings supplied loose, for site assembly, to provide a continuous louvre run. Factory made mitred corners are also available, if required. Louvre doors – can be supplied either single or double leaf, to act as independent doors to plant rooms etc. or concealed within a continuous run of louvres. 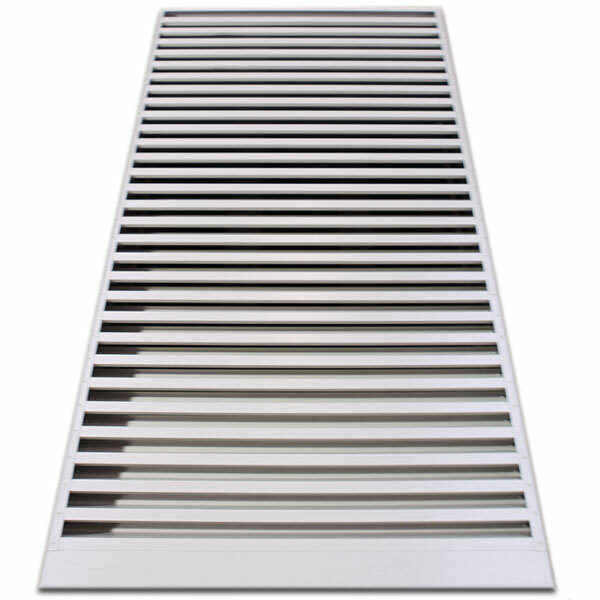 Acoustic louvres – designed to provide a twofold function of permanent natural weathered ventilation allied with effective sound reduction – ideal for use in industrial and engineering environments. Louvre profiled horizontal cladding – this bespoke sheeting imitates the profile of a louvre and can be supplied perforated to the underside for ventilated areas or solid for non-ventilated areas. Internal and external closure flashings and trims.